There are many different types of trading strategies and techniques in forex trading. It totally depends on up to you how to trade the financial instruments in the global market. Most of the retail traders in the forex market tends to use different types of indicators for executing their trades in the market. They simply trade the different assets in the market without knowing about the exact functionality of the indicators and for this reason, most of them fail to make money while using the indicators. Indicators can be great tools for the traders if they know how to use them properly. But trading the live currency market without knowing their functionality is one of the major cause of failing in the forex market. 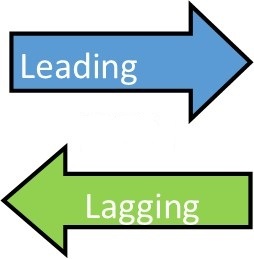 Leading indicators: Leading indicators are those indicators which give them early trading signals to the traders. For instance, the RSI, stochastic and most of the oscillators in your trading platform are leading indicators. So if you trade the market by using the leading indicators signal then chances are very high that you will often face false signals in the market. So in order to use the leading indicators make sure to use the key support and resistance level also. Lagging indicators: The indicators which give late trading signals to the traders are known as lagging indicators in the forex market. For instance, one of the most popular types of indicators in the forex market is the simple moving average which is a lagging indicator. So if you trade the market by suing the moving average only then chances are very high that you will miss many good movements in the market. So you need other parameters and trading tools to use them perfectly. So how do use indicators? The answer is pretty simple. We will be considering indicators as a trade filter tools not as decision-making tools. As a professional trader, you should use the key support and resistance levels in the market to execute your trade. Most of the professional traders in the financial industry use price action confirmation signal to trade the key support and resistance level. So once you find a good setup in the market you can look at your indicators reading to take the confirmation to execute your orders. If your indicators give you an opposite reading compared to initial analysis that means there is something wrong and you should avoid the trades in the market. To be precise use them as a trade filter in the market. Summary: Indicators can be extremely useful for the traders if they know how to use them properly. Many professional traders in the financial industry are making a huge amount of money by trading the key support and resistance level and taking confirmation from the indicators reading. So consider indicators are your secondary tools and focus on other parameters like support and resistance level and price action trading strategy. And never overloaded your trading charts with too many indicators since it leads to bad trade execution.